Schedule: Monday through Friday (returning students are scheduled first; new students are offered the remaining open slots.) Students commit for a full semester (14-22 lessons) at a time. Group Class Commitment: Regular group classes and/or studio classes are required for every private lesson student. Cost: $48.50/30-min lesson, $63/45-min lesson, $75.50/60-min lesson. Photo by Alice Grabowski of Blue Green Photos. Interested in lessons? Submit this form to be considered for any open spots. Please include the following details: Student name, age, grade, school. Please describe your musical training (if any). Who is your current teacher? What are the three pieces you have most recently studied? What are your goals and dreams for your violin playing? Committed. Passionate. Hard-working. These are words that describe the students in the Allen Violin Studio. This is a studio for the student who wants to learn all about the violin and the exciting world of music. Students commit to practicing regularly and participate in several performances every year. These students are passionate about learning. They ask questions. They attend concerts and masterclasses. They read books and listen to recordings to further immerse themselves in the musical world. They creatively engage with their repertoire and learn to present it to the public. Students work hard on their lesson assignments, and in doing so, learn that consistent, focused work results in achieving their goals. Dynamic. Personal. Creative. 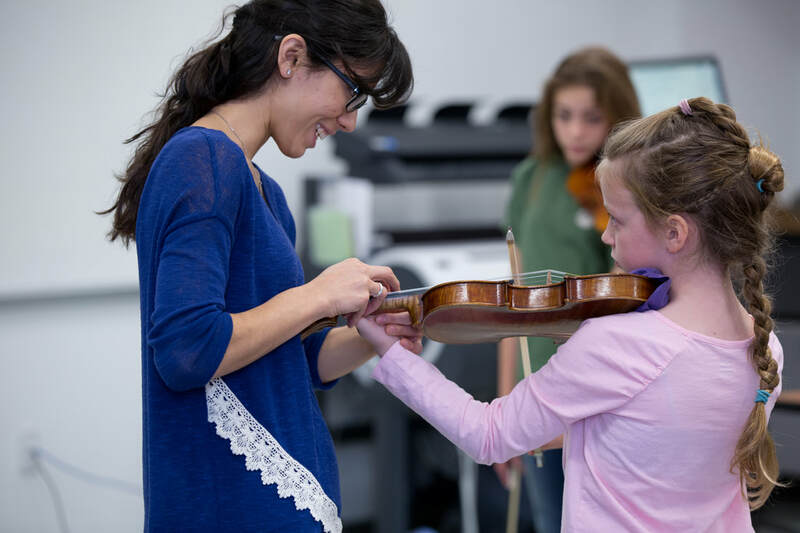 Lessons in the Allen Violin Studio are tailored specially for each individual student. A general modified-Suzuki curriculum is followed for all students in the beginning and intermediate levels of playing. As a student progresses, a personalized course of training is created with the individual in mind that is designed to build true confidence and passion for music. The establishment of a secure technical foundation and a physically free way of playing is the first priority of this teacher. All students study a core curriculum of scales, note-reading, and etudes. Some students may learn repertoire quickly and progress through several pieces in a matter of months. Other students may need a slower progression and will benefit from deep learning and focus on one piece over a longer period of time. The student's individual goals set the tone and intensity of the lessons. 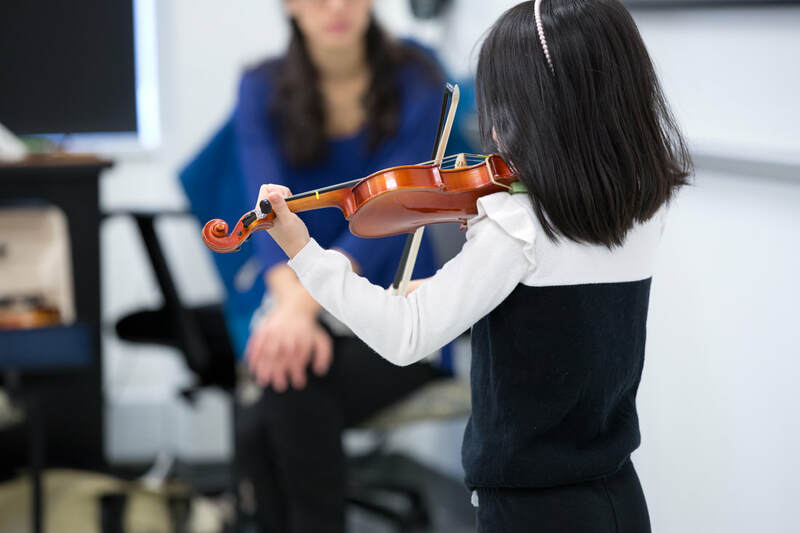 Performance repertoire is drawn from the Suzuki method books, the Violin Music By Women anthologies, and the Solos for Young Violinists anthologies. One of the best features of this studio is the community of violinists and their families that has formed over the last four years. Students form friendships and look forward to seeing their friends at group classes and studio classes, which also help them build ensemble skills and give them a supportive, friendly atmosphere to practice performing in. 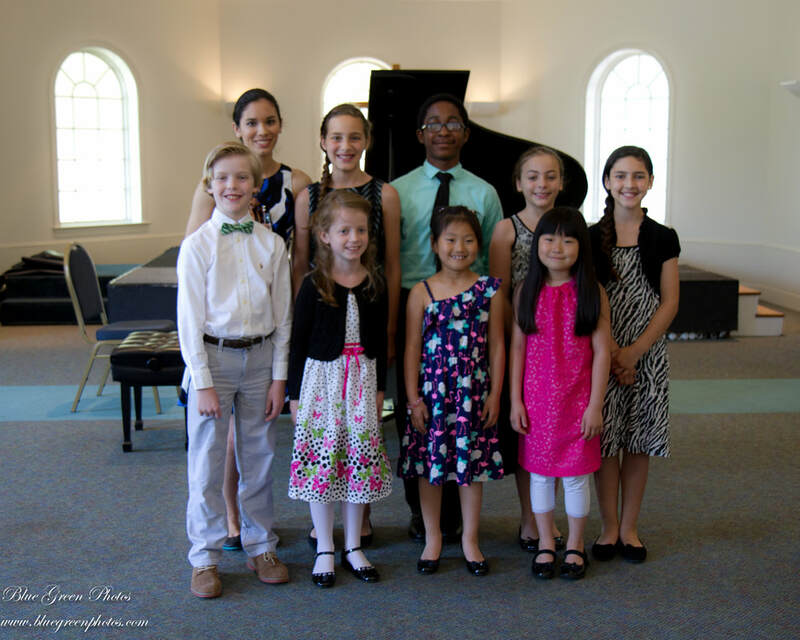 All students commit to four recital performances a year, so the pace of learning is intense yet extremely rewarding. There are also occasional special performance opportunities for students who want to go even more above and beyond - recent opportunities include performing in a masterclass for Dr. Cora Cooper of Kansas State University. 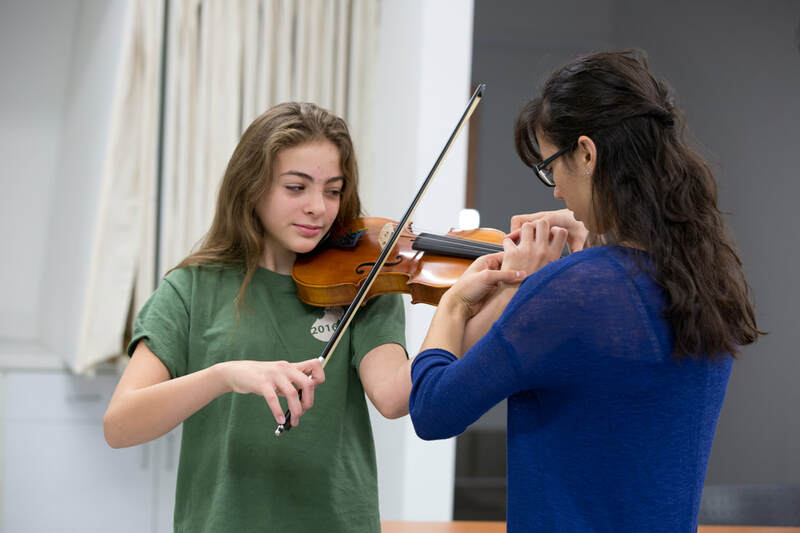 New students should read the "Guide for New Violinists and Parents" and can also read testimonials from current and past violin students who have studied with Ms. Allen. You can also follow the studio on Facebook and Instagram.